Are any of these shirts still available? how do I order a t-shirt from one of the graphics above? thank you! This a website to showcase the artwork of Marq Spusta, most of the art is not available currently for purchase. 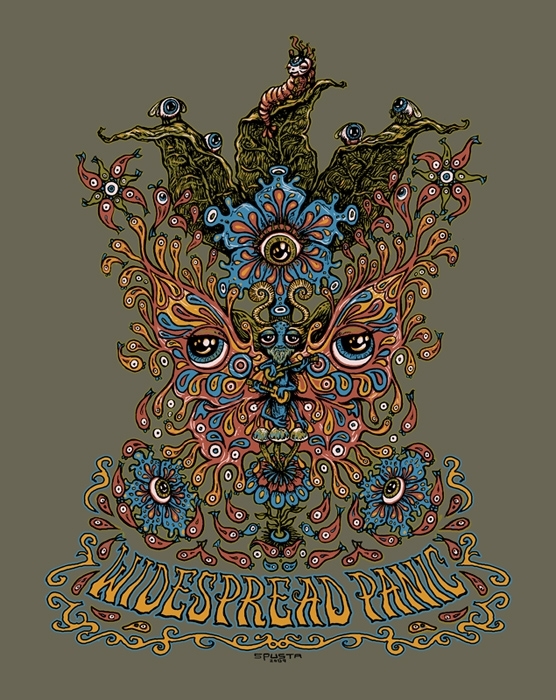 This shirt was sold through widespreadpanic.com years ago. My favorite Panic shirt !! Just wore mine yesterday ! Dread the day it wears out.. Like my original Bliss Bug tee, will hate to see it go !! Do have a new favorite tee as well, the 7 Birds tee is super sweet !! !